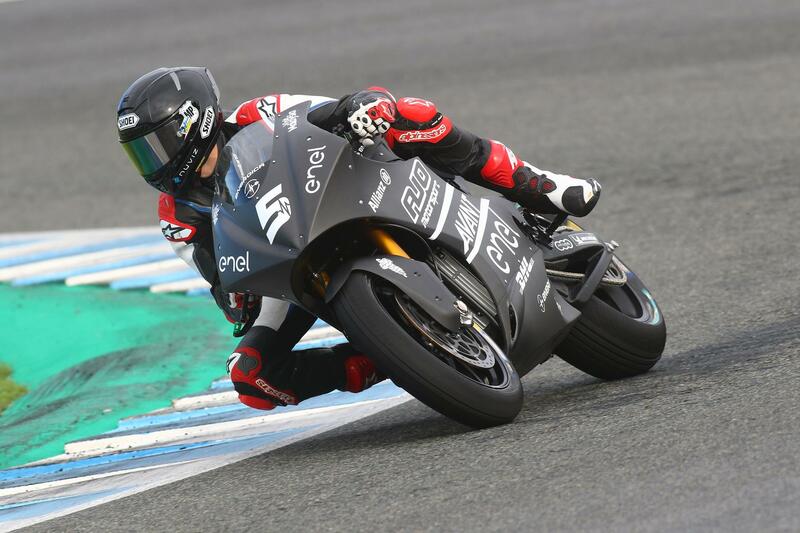 Preparations for the inaugural MotoE World Cup have begun at the Circuito de Jerez -and it was former World Supersport podium finisher and Moto2 rider Niki Tuuli who topped the times on day one of three, setting a quickest time of 1:51.721. Laptimes tumbled dramatically after the first runs, and by the end of play the Finn’s time was enough to beat 2017 European Moto2 Champion Eric Granado by 0.121, with former Grand Prix rider Randy de Puniet completing the top three. That makes a pretty tight top trio after only a few sessions - the test is shared with Moto2 - with only 0.185 splitting them. 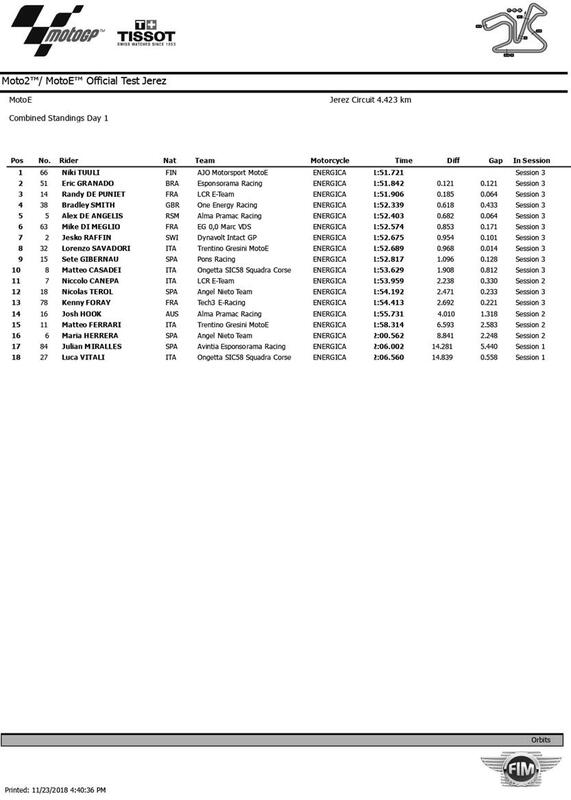 And next up on the timesheets was Bradley Smith, the British rider 0.618 off the top, with Alex De Angelis then just 0.064 behind Smith in fifth. The much-anticipated return of former MotoGP frontrunner Sete Gibernau, meanwhile, saw him impressively hit the ground running - only just over a second off the top. It's not just laptimes that were the focus of the day, however. With teams and riders settling in to the new category, first contact and experience is key to getting up to speed ready for the start of the season - including the tyres. Specially designed, the front tyres are a derivative of MotoGP tyres but the rears have more of a Superbike background. The fronts need to support the bike under braking, whereas the rears need to warm up quickly for the shorter race distances in the MotoE World Cup. With the different characteristics of each, that made it something very new for each rider out on track - regardless of their racing experience. So that's day one and first contact completed, with Tuuli in charge so far. Now there's another day of testing on Saturday before a third on Sunday, so make sure to stay up to date and see how laptimes drop further and the teams settle in to the new category.